Since mold is such a gross, unpleasant thing to see, people have come up with many different rumors surrounding it. As a result, it’s become hard to know what to believe and what not to believe about mold. First of all, it’s critical to know that if you find mold in your home you should involve a mold remediation professional as soon as possible so they can assess the level of mold damage and remove it the right way. At RestorePro in Sandusky, Toledo, and Ashland Ohio, you will find a team of qualified and honest professionals that can eliminate mold at the source and prevent the spreading of mold throughout your property. 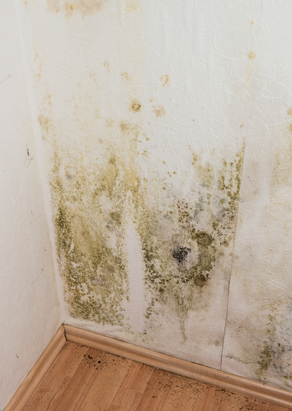 Now, here are a few of those common mold myths to look out for. This actually combines two myths into one. It’s important to understand that your house CAN’T be totally free of mold. Mold is a natural part of the environment. That doesn’t mean the mold all over the ceiling and in your bathroom is a good thing by any means, but the only way to live in a completely mold-free environment would be to live in a quarantined plastic bubble. Therefore, your home CAN’T and SHOULDN’T be 100 percent free of mold. Yes, it is true that the harmful consequences of mold are exaggerated in many cases, but that doesn’t mean that mold is totally harmless. While the health effects of mold are still not completely clear, it is proven that mold can cause respiratory problems, allergies, asthma, and other serious health issues. Furthermore, mold doesn’t just put people at a health risk, it can damage your home and your belongings over time. The longer mold sits and has time to grow and spread, the more costly and difficult it will become to repair and remove. Bleach seems like the perfect option for getting rid of mold. As a result, many people use it and then forget about it, assuming that the bleach completely killed the mold. However, this is not always the case. Bleach may do a good job of killing the mold on a non-porous surface. But bleach will not eradicate mold spores found in other porous surfaces. Mold can easily spread into crevices of walls and cracks in wood frames and can turn into structural damage. This is probably the most important mold myth to not fall for. Just because you see a small spot of mold somewhere, doesn’t mean that is all the mold there. Mold often grows inside walls out of your sight. So if you see even tiny spots of mold in your house, you should immediately investigate to ensure the problem isn’t deeper and more widespread than it appears. Upon seeing a little mold, it’s common to think you can eradicate it all on your own. However, as aforementioned, the mold you see may not be all the mold that is actually there. That’s why it is so important for you to involve a professional mold remediation company that has the proper equipment and cleaning products to eliminate the problem as soon as they can. Certified and insured professionals, like the ones at RestorePro in Sandusky, Toledo, and Ashland, Ohio, are the only valuable solution when you spot mold growing in any area of your home.